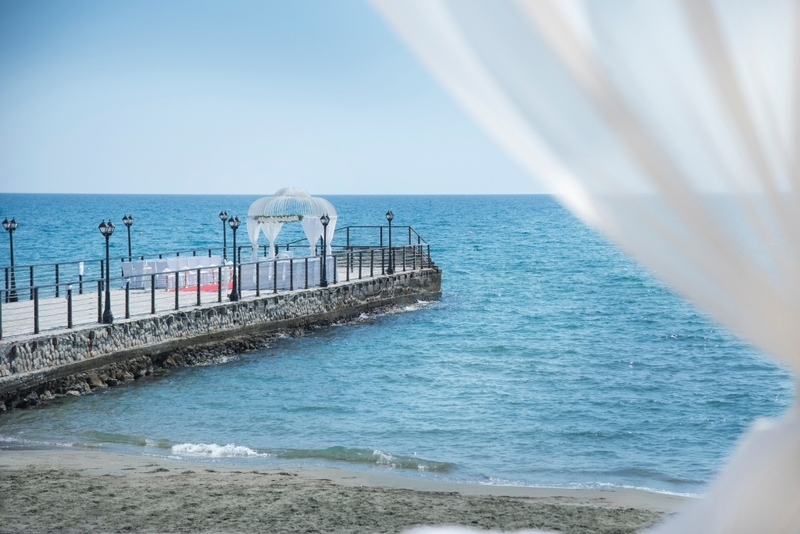 Get married at the Elias Beach Hotel in Limassol and enjoy a relaxing holiday in one of the nicest affordable hotels on the island. 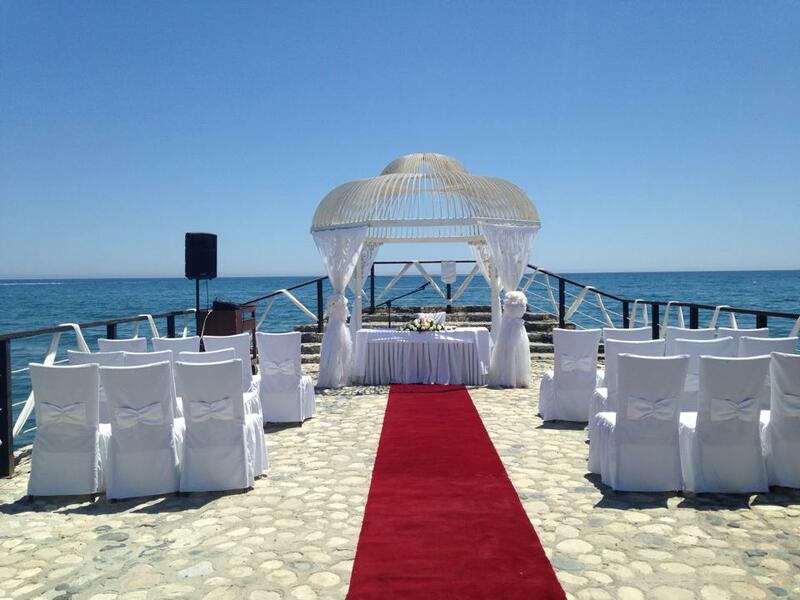 This all-inclusive hotel is blessed with a wonderful wedding pier, ideal for a private wedding ceremony. You can then have your cocktail reception on the pier before moving on to the private Blue Paradise Beach Bar for your evening dinner reception, which is booked for your wedding partys' exclusive use. 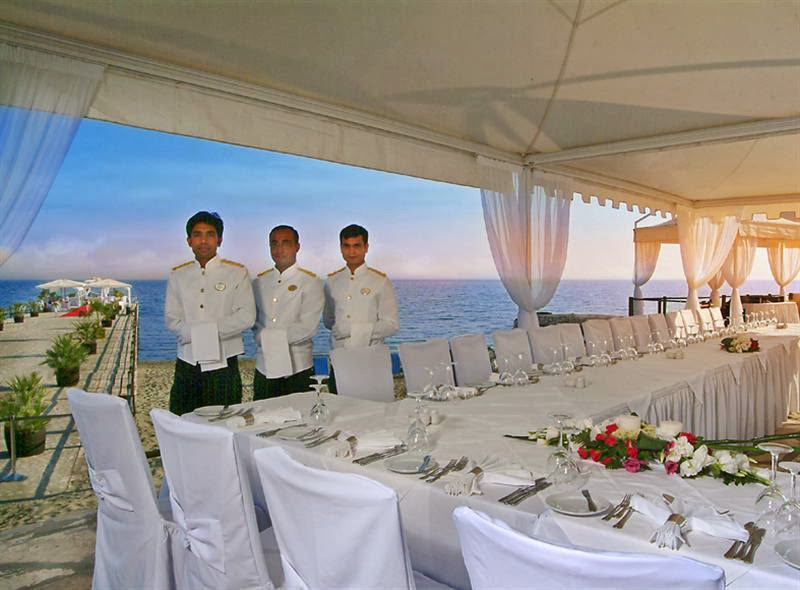 The Elias Beach Hotel is ideal if you have a large wedding party and you'd all like to stay together and enjoy an all-inclusive stay on your wedding holiday. 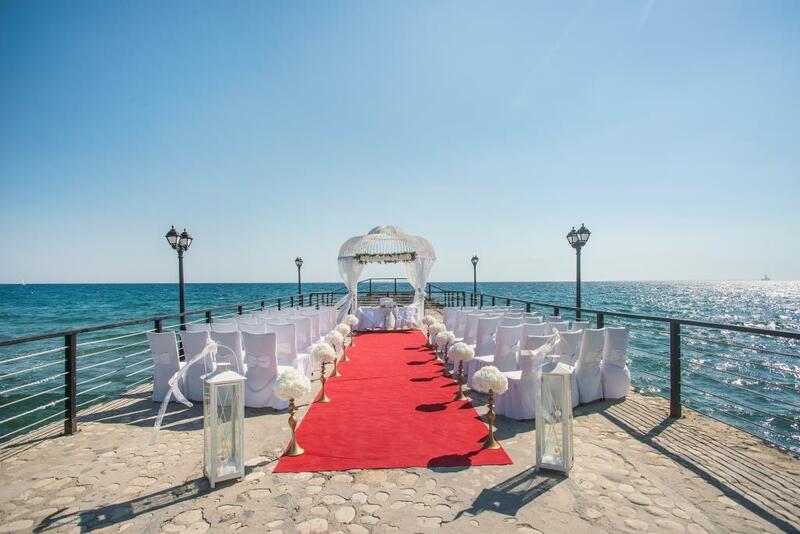 The Elias Beach has the wonderful wedding location on the Sunset Pier, or if you'd prefer to marry within the gardens of the hotel then there are free wedding venue locations available. If you'd prefer an Anglican Wedding ceremony then this can take place in the hotel's small chapel. Cocktail receptions can take place in a number of locations, depending on where you get married. 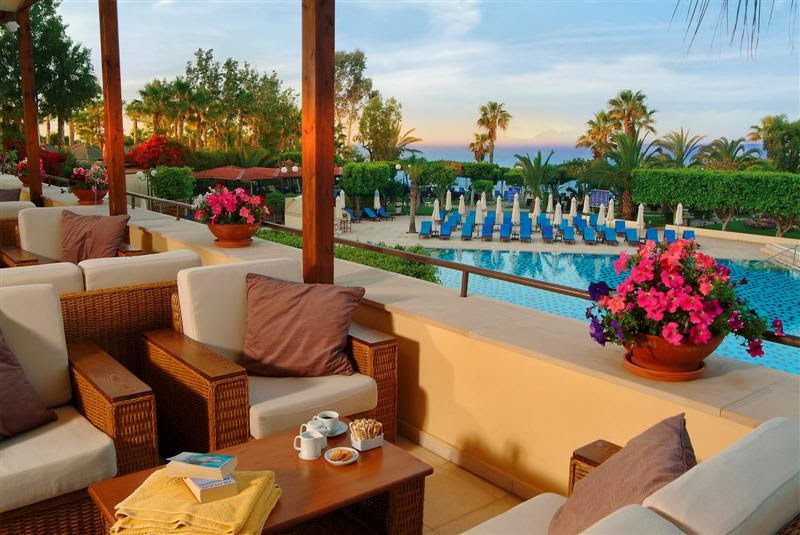 Then for your evening reception if you're staying on all inclusive you can stay in the hotel's restaurant for free and eat from the all-inclusive buffet, or if you prefer you can have the wonderful beachside taverna - the Blue Paradise Beach Bar for your party's exclusive use. In-Resort Fees: €282 Special Marriage Licence + €TBA Wedding Venue Hire (Civil or Religious) + Registrar or Church Fees €TBA. Or why not consider one of our fully inclusive Celebration Wedding Packages that include your wedding ceremony, reception and all the trimmings. Your wedding reception arrangements are paid directly in resort in local currency. Our Sweet & Simple Wedding Packages are for couples who are looking for a simple 'no fuss' wedding ceremony. 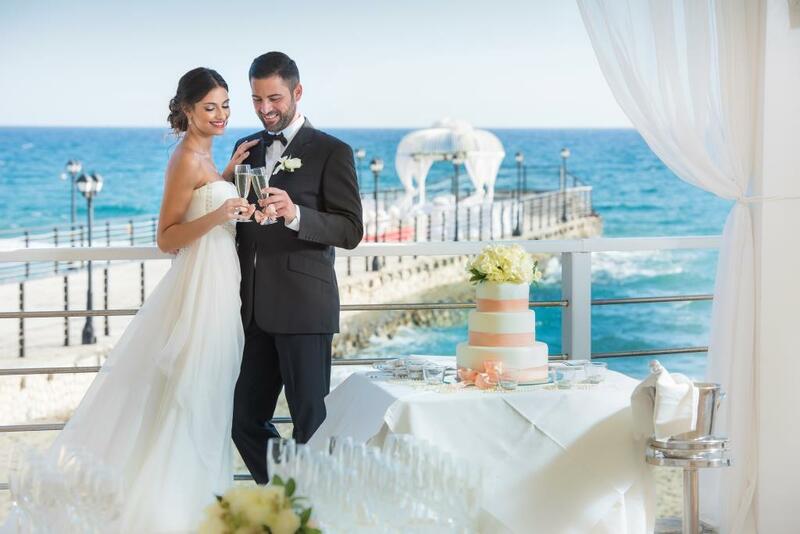 Each package includes a UK-based Specialist, advice from our Wedding Concierge Team and your own In-Resort Wedding Coordinator. *Our Sweet & Simple Packages are for the wedding ceremony only and exclude any reception arrangements. If you would like assistance organising your reception this will be at an extra fee and can be arranged post booking with our concierge team. Our all-inclusive Celebration Packages include everything for your ceremony, wedding reception and all the added extras! Don't just take our word for it. Here is what our customers have said. 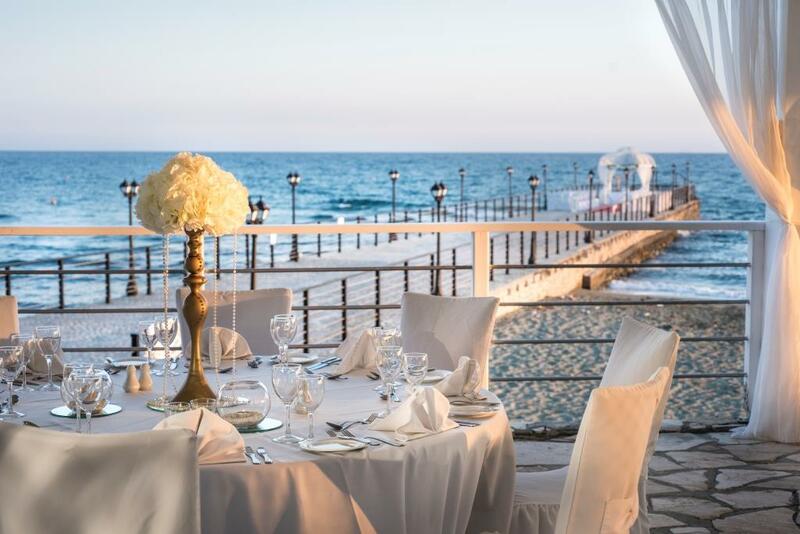 We had the most amazing wedding at the Elias Beach Hotel in Cyprus. We were nervous at first booking with PWA and leaving all the planning to them but we are so glad we did! The whole process has been completely stress free and we have had regular contact and swift replies with any questions we have had...even my last minute panic emails! Special thanks to Evelyn, Anita and Lydia our in resort wedding coordinators - they were fantastic so well organised and their experience helped us feel at ease. We will definitely return to Elias Beach, thank you Perfect Weddings Abroad for giving us a wedding day to remember! What can I say?! Apart from it was the best day ever and the best experience. From arrival at the hotel we where made so welcome the room was amazing. Our Perfect Wedding Abroad wedding coordinator was so lovely, we can't thank her enough, she was contactable all the time if I had any questions. On the day everything ran smooth myself and my bridesmaid chilled round the pool in the morning - (who can say they do that on the morning of their wedding) then the hairdresser came to our room to do our hair and make up. As for the ceremony the walk through the hotel and down the pier was magical! 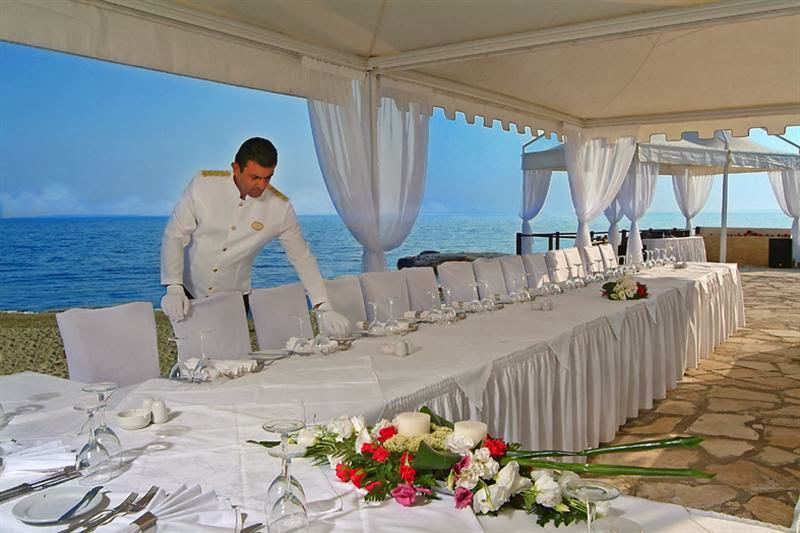 I have and would tell everyone about Perfect Weddings Abroad and the Elias beach hotel! * Room upgrades are subject to availability but we will do our very best to upgrade you! 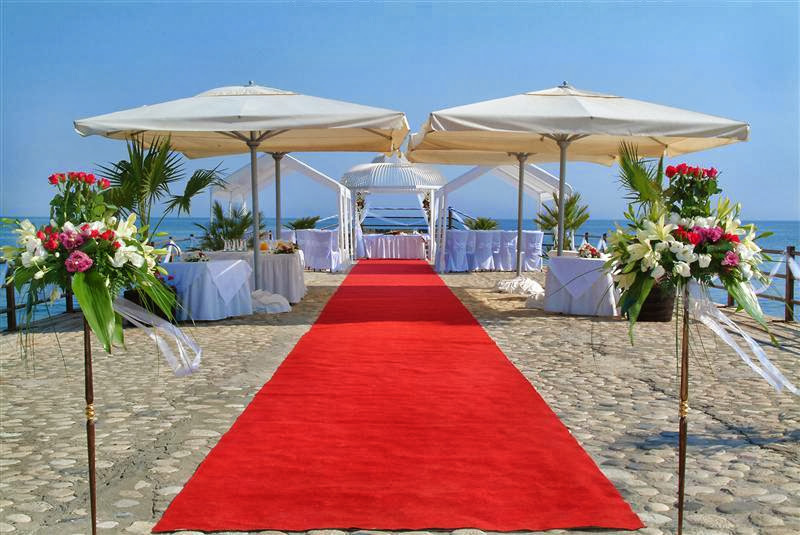 Get married at the Elias Beach between 1st November - 30th April and receive your wedding ceremony venue free of charge. 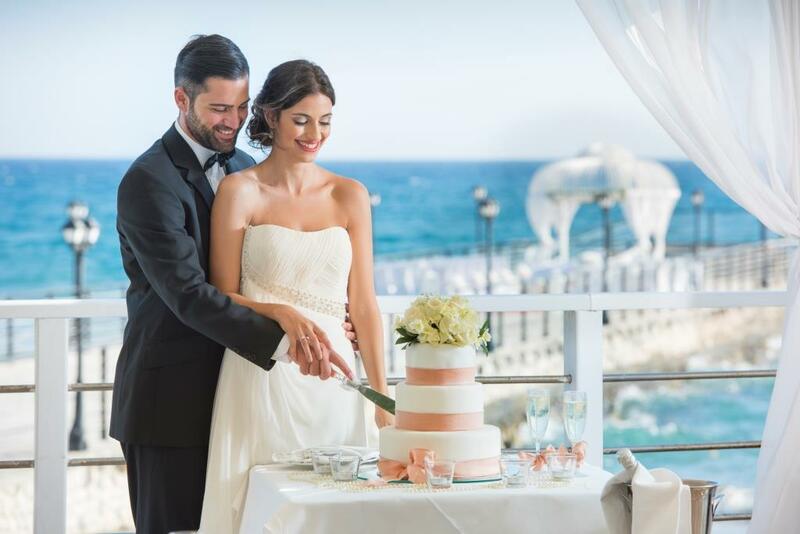 Offer available to all couples who hold their wedding reception within the hotel, usual venue hire charges apply for banqueting venues and couples must choose one of the banqueting menus. Book 10 rooms for 7 nights and receive a free wedding cocktail reception, with a glass of local sparkling wine and three canapés per person. ** Couples booking a Fully Inclusive Celebration Package will receive the equivalent value of the above offer as a discount from their package price. Statutory Declaration for Bride and Groom (must be witnessed by a solicitor and bear a rubber stamp). A sample will be provided once your wedding is confirmed. Name change – Original Deed Poll Certificate or Original Name Change Document. PLEASE NOTE: If you are not a British Passport Holder then additional documentation and translations may be required depending upon your nationality. Please call our Concierge Team to discuss your individual requirements. Our Legal Document Checking Team will check and confirm that your documents are in order before you travel, however it is the couple's responsibility to ensure that they have all of the correct paperwork on time. Our wedding packages do not include any legal documentation costs. When travelling to Cyprus you must take all of your original documentation with you as scans or photocopies are not accepted by the Cypriot Authorities. The Sunset Pier at the Elias Beach is an absolutely beautiful setting and a complete one off compared to other venues on the island. 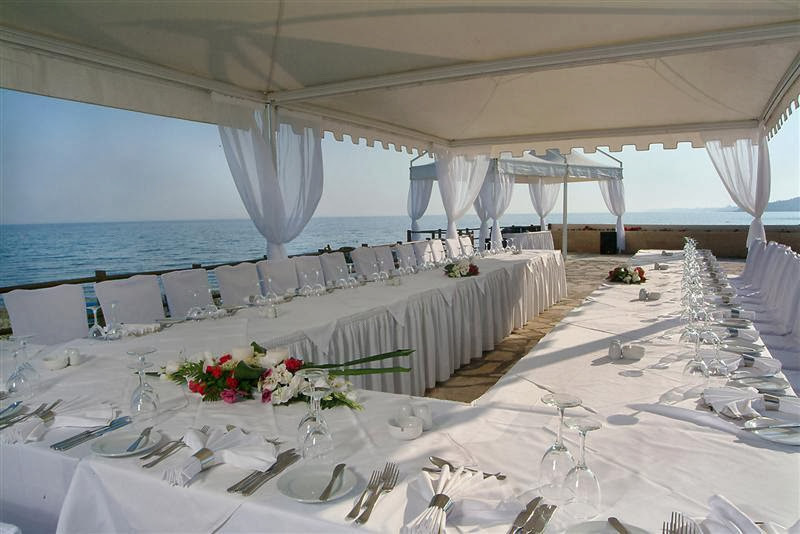 The Blue Paradise taverna is also a stunning reception location overlooking the sea! I love the pier at this venue, it is such a unique and secluded setting overlooking the Mediterranean Sea. 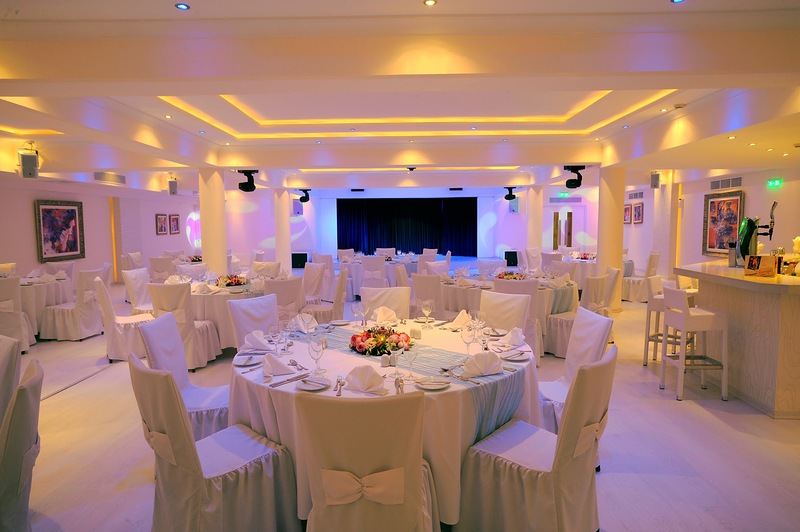 It also has a large capacity and is very popular for large groups and Asian Weddings.